The benediction "Blessed be the Lord, our God, King of the Universe, who has kept us alive ["she-heḥeyanu"] and sustained us and welcomed us to this season"; in actual usage the blessing begins with the words "She-heḥeyanu,"the preceding clause being suppressed. 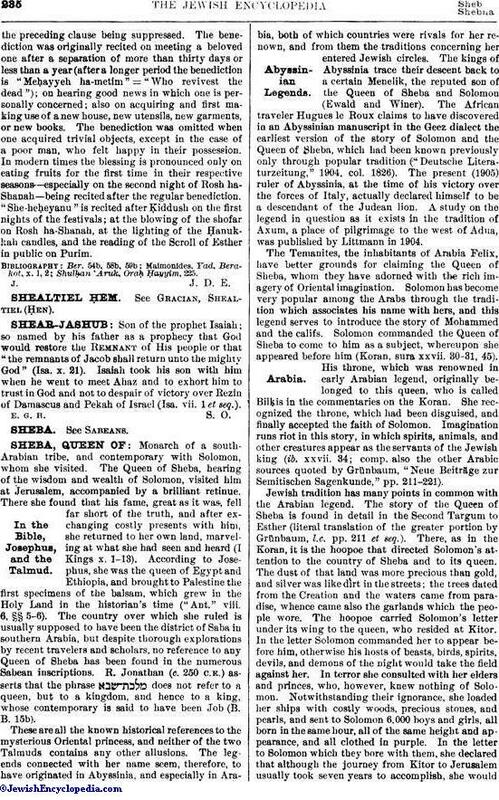 The benediction was originally recited on meeting a beloved one after a separation of more than thirty days or less than a year (after a longer period the benediction is "Meḥayyeh ha-metim" = "Who revivest the dead"); on hearing good news in which one is personally concerned; also on acquiring and first making use of a new house, new utensils, new garments, or new books. The benediction was omitted when one acquired trivial objects, except in the case of a poor man, who felt happy in their possession. In modern times the blessing is pronounced only on eating fruits for the first time in their respective seasons—especially on the second night of Rosh ha-Shanah—being recited after the regular benediction. 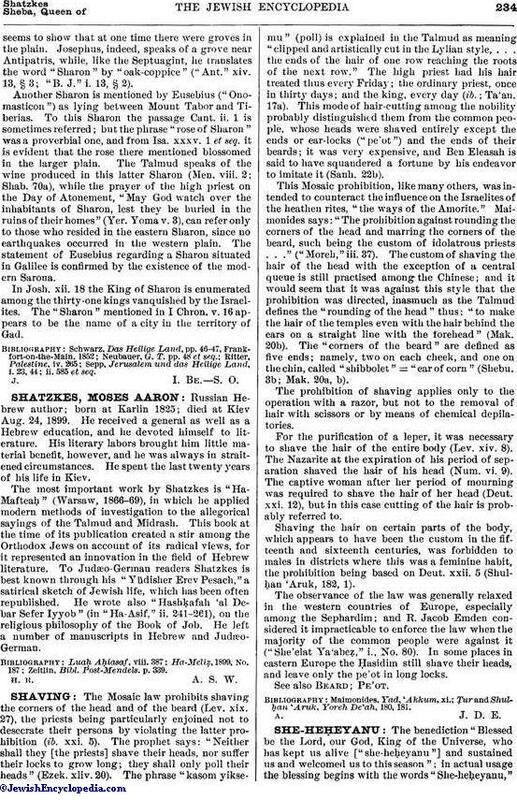 "She-heḥeyanu" is recited after Ḳiddush on the first nights of the festivals; at the blowing of the shofar on Rosh ha-Shanah, at the lighting of the Ḥanukkah candles, and the reading of the Scroll of Esther in public on Purim. Shulḥan 'Aruk, Oraḥ Ḥayyim, 225.